Speak with our Family Counselors regarding pre-arrangements and take the worry and stress away for your loved ones. While The Boca Raton Funeral Home will work with any cemetery of your choosing, it is now affiliated with The Gardens of Boca Raton, an indoor and outdoor mausoleum style cemetery, to provide the highest level of quality service and care, not only for your loved one but for those who wish to remember them. Relieve your family of having to make important financial decisions during a period of great stress and grief by taking your final wishes and making them into advance plans. 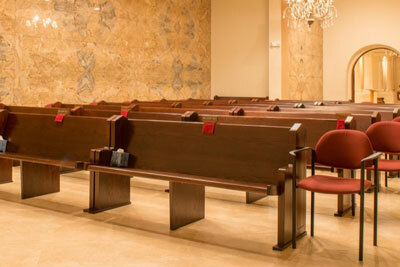 Boca Raton Funeral Home is full-service funeral home. We are totally committed to providing you with the highest level of quality service and merchandise 24 hours a day 7 days a week. Boca Raton Funeral Home offers many options including; traditional Funeral Service Followed by Cremation, Cremation with a Memorial Service and Simple direct cremation for your loved one. 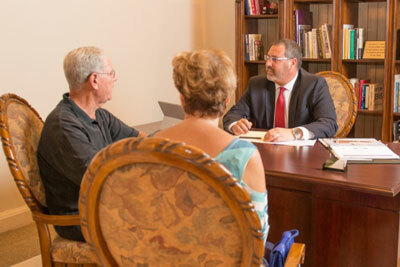 Welcome to Boca Raton Funeral Home, Family Owned and Operated. Available 24 hours a day. Funeral homes do not all offer the same level of services available at Boca Raton Funeral Home and Cremation Service 24 hrs a day. We are the only family owned and operated facility serving West Boca Raton, minutes from Palm Beach, Broward, and Dade Counties and all of South Florida. For 22 years, Garrett and his family have been serving families just like yours. We understand the importance of providing a comforting hand in time of grief. We recognize that every individual and family we serve has lived a life that is uniquely their own. At Boca Raton Funeral Home, we take the time to learn about those that we serve and the lives they shared with their loved ones they lost. We then help them plan a funeral or memorial service that reflects the lifestyle and final wishes of their loved one. We are committed to providing you and your loved ones with dignified, traditional and affordable services, allowing you peace of mind. Our cemetery property in the heart of Boca Raton. Thank you for your very professional and prompt response. I wished I had found you in the beginning.